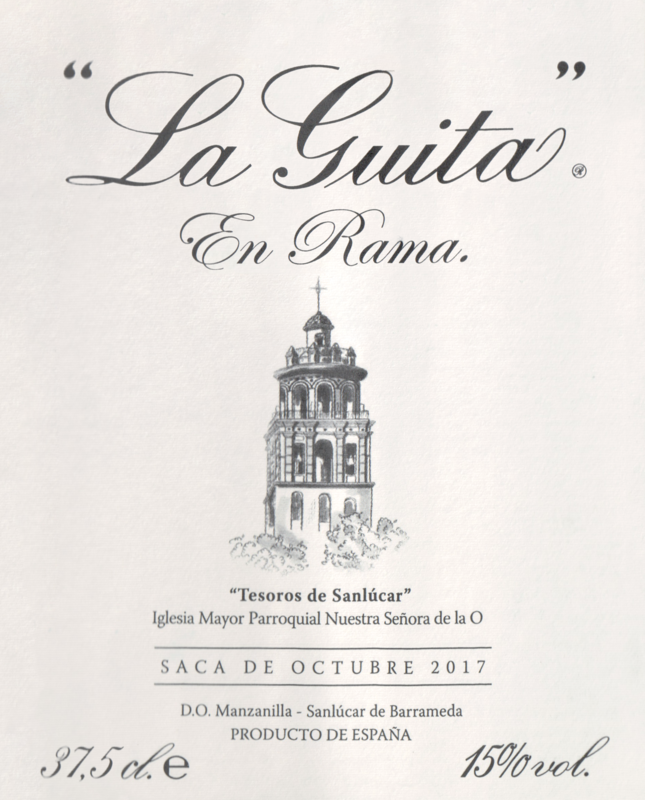 "The one thing I thought I'd never see was a bottle of NV Manzanilla La Guita en Rama, an 'en rama' bottling from October 2015. The wine is exclusively from Sanlúcar, mainly from the Pago de Miraflores vineyard. 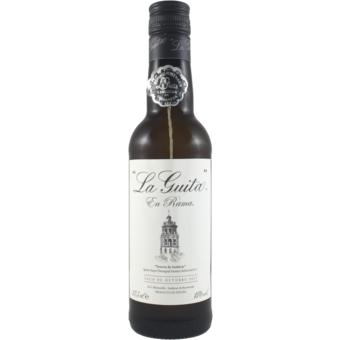 If the regular bottling has seen a prodigious improvement since it was purchased from the Estévez family, the unfiltered version is simply phenomenal. I encountered a first bottle in the north of Spain and I was gobsmacked. The character of brine, green olives and mustard seeds is all there in an amplified way. The palate is medium bodied, as 'flor' eats glycerin and the wine is always sharper, always very dry and intense. This is a selection of 'botas' from centenary 'soleras' in their bodegas Misericordia and Carretera de Jerez, averaging 4.5 years of age. The wine is unfined and not stabilized, and only a light filtration is applied to avoid particles floating in the wine. This is their first 'en rama' bottling. 48,000 half bottles were filled and the price given is for a half-bottle."